An electronic signature is the group of data that links a unique document to the user and, at the same time, guarantees the integrity of the aforementioned through the use of a cryptographic function called “hash function”, which generates a code that’s consulted each time the message is accessed. The implementation of these kinds of solutions becomes a great challenge at the moment of changing the different, required organization processes for an autographed signature to the new format of an electronic signature. Achieving the dematerialization of these procedures carries the decrease of paper consumption and information leakings, among other benefits. 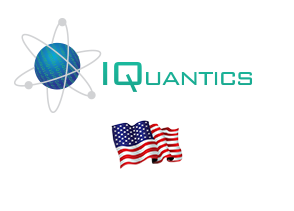 For IQUANTICS Corp. to reach this goal we will evaluate the current situation of the organization through our own methodology to finally determine the maturity level for accepting a project of this nature. This is how the technological platform required for the deployment is determined, a plan of action is established for the addition of the electronic signature in the services and applications that require it through the IQSign components developed and adapted by IQUANTICS Corp. for the achievement of the proposed objectives.